Home to former President Barack Obama, sporting giants the Chicago Bulls, and the culinary delicacy deep dish pizza, Chicago is one of the most famous cities in the world. 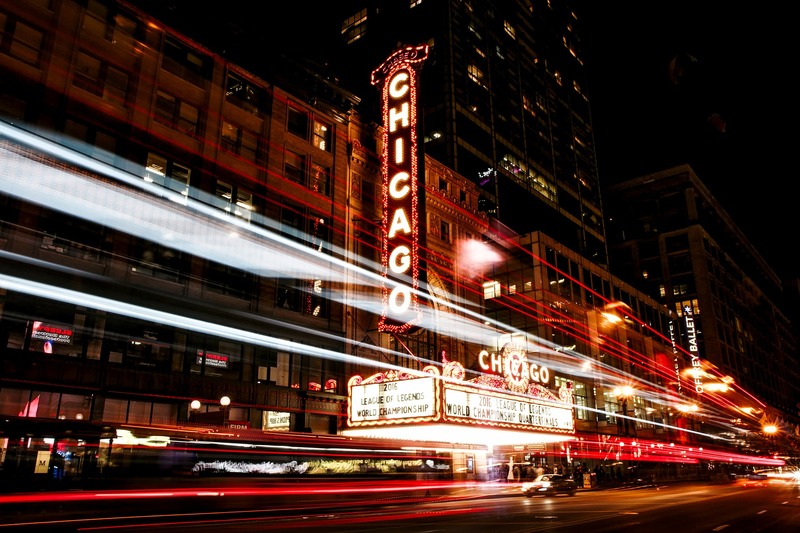 Less well known is Chicago’s ambition to become the most data-driven city in the world. A late convert to the smart city agenda, Chicago was lagging behind local rivals New York and Boston, and international leaders Barcelona, Amsterdam, and Singapore. But in 2011, Chicago’s new Mayor Rahm Emanuel outlined the important role technology needed to play, if the city was to address its main challenges. In 2012, Mayor Rahm Emanuel issued an executive order establishing the city’s open data policy. The order was designed to increase transparency and accountability in the city, and to empower citizens to participate in government, solve social problems, and promote economic growth. It required that every city agency would contribute data to it and established reporting requirements to ensure agencies were held accountable. Chicago’s open data portal has nearly 600 datasets, which is more than double the number in 2011. The city works closely with civic hacker group Open Chicago, an organisation which runs hackathons (collaborations between developers and businesses using open data to find solutions to city problems). The Array of Things is an ambitious programme to install 500 sensors throughout the city of Chicago. Described by the project team as a ‘fitness tracker for the city’, the sensors will collect real-time data on air quality, noise levels, temperature, light, pedestrian and vehicle traffic, and the water levels on streets and gutters. The data gathered will be made publicly available via the city’s website, and will provide a vital resource for the researchers, developers, policymakers, and citizens trying to address city challenges. Potential applications for the city’s data could include providing citizens with information on the healthiest and unhealthiest walking times and routes through the city, as well as the areas likely to be impacted by urban flooding. The project is led by the Urban Center for Computation and Data of the Computation Institute – a joint initiative of Argonne National Laboratory and the University of Chicago. However, a range of partners are involved in the project, including several universities, the City of Chicago – who provide an important governance role – and technology firms, such as Product Development Technologies, the company who built the ‘enclosures’ which protect the sensors from environmental conditions. In addition, the Urban Center for Computation and Data and the School of the Art Institute of Chicago ran a workshop entitled the “Lane of Things”, which introduced high school students to sensor technology. The workshop is part of the Array of Things education programme, which aims to use sensor technology to teach students about subjects such as programming and data science. For eight weeks, the students were given the opportunity to design and build their own sensing devices and implement them in the school environment, collecting information such as dust levels from nearby construction and the dynamics of hallway traffic. The Array of Things project is funded by a $3.1 million National Science Foundation grant and is expected to be complete by 2018. The City of Chicago is working with local technology firm, City Digital, to produce a 3D map of the underground infrastructure, such as water pipes, fibre optic lines, and gas pipes. The project will involve engineering and utility workers taking digital pictures as they open up the streets and sidewalks of Chicago. These images will then be scanned into City Digital’s underground infrastructure mapping (UIM) platform, and key data points will be extracted from the image, such as width and height of pipes, with the data being layered on a digital map of Chicago. Although still at the pilot stage, the technology has been used on one construction site and an updated version is expected to be used on a larger site in Chicago’s River North neighbourhood. Once proven, the city plans to charge local construction and utility firms to access the data, generating income whilst reducing the costs of construction and improving worker safety. In January, Mayor Rahm Emanuel and Chicago Police Department commanders announced the expansion of ShotSpotter – a system which uses sensors to capture audio of gunfire and alert police officers to its exact location. The expansion will take place in the Englewood and Harrison neighbourhoods, two of the city’s highest crime areas, and should allow police officers to respond to incidents more rapidly. Chicago Police Superintendent Eddie Johnson highlights that although crime and violence presents a complex problem for the city, the technology has resulted in Englewood going “eight straight days without a shooting incident”, the longest period in three years. ShotSpotter will also be integrated into the city’s predictive analytics tools, which are used to assess how likely individuals are to become victims of gun crime, based on factors such as the number of times they have been arrested with individuals who have become gun crime victims. Since 2011, Chicago has been attempting to transform itself into a leading smart city. Although it’s difficult to compare Chicago with early adopters such as Barcelona, the city has clearly introduced a number of innovative projects and is making progress on their smart cities journey. In particular, the ambitious Array of Things project will have many cities watching to see if understanding the dynamics of city life can help to solve urban challenges.